The discovery of an ancient Egyptian papyrus text that refers to Jesus’ wife is shaking the Christian world. In spite of attempts to write off the text as a hoax, careful study and carbon dating has rated the papyrus as an authentic document. Such are the findings of Harvard Professor Karen L. King in an article recently published in the Harvard Theological Review. The discovery is troublesome to the Christians who have spent the last 2,000 years building a case against sexual freedoms. The Roman Catholic Church has banned marriage for its priests and nuns, insisting that they follow in the footsteps of a god-man who was born of a virgin and appears to have remained sexually "pure" throughout his life. What makes this discovery somewhat ironic is that the New Testament stories make it clear that Mary Magdalene, a practicing prostitute before she met Jesus, became closely associated with Jesus during his ministry. 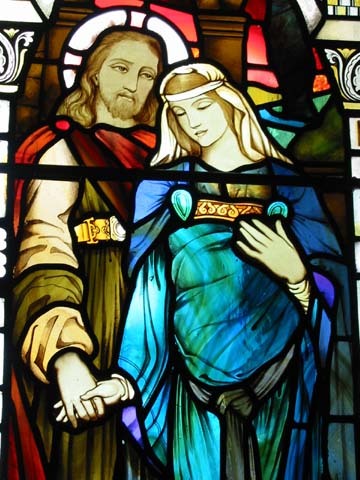 If there was a woman in his life, it may well have been Mary Magdalene. She was at his feet on the day he was crucified, and was one of the women who discovered his empty tomb. The other problem with this revelation, especially for Christians, is that if Jesus and Mary were married, they may also have had children together. And this suggests there may be descendants of Mary and Jesus walking among us today. In fact, if we could trace our DNA origins over the past 2,000 years, most humans on the planet might trace their blood line back to Jesus. But if Jesus was God, in human form living among us, how was it possible that he dared to lower himself to marry and enjoy the company of a wife and leave a blood line among children born to Mary? It appears more likely that Jesus was a spiritual teacher; a normal man who left a very large footprint because of what he said and did among the Hebrew people during his brief ministry on Earth. There should be yet another comforting thought among the hardline Christian believers who frown against homosexual behavior. That Jesus traveled extensively with 12 male disciples during his three-year ministry has always sounded a bit suspicious. If Mary Magdalene and other women weren’t traveling with them, we have to wonder what was going on in those tents each night.